are being created by refugees in Kansas City. 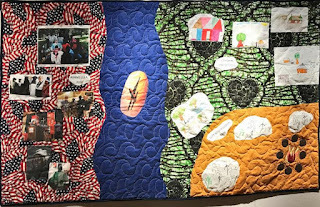 One of the story quilts was sewn by a Sudanese grandmother telling of the family's escape in 1996 from war-torn Sudan to Ethiopia. Each night they ran, then slept during the day hiding in bushes to escape notice of fighters. They came to America and live in Kansas City. Refugees there are offered an opportunity to learn to sew. They are taught basic sewing skills in a 9 week class. They learn how to cut fabric using a pattern, how to sew straight seams and hems with an electric sewing machine and how to sew with elastic. 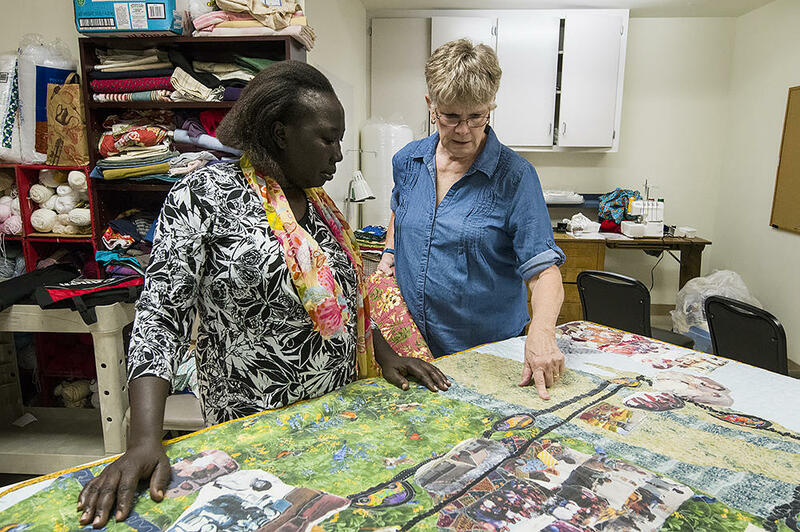 At the end of the 9 week class, the students are given their own sewing machine they had personally used in the class along with fabric, thread and notions, an ironing board and iron and a new pair of shears. 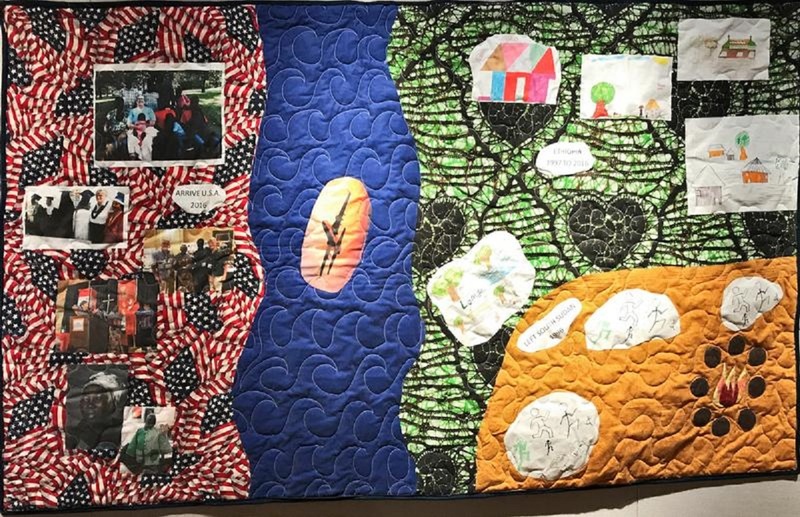 After the 9 week course, they are given the opportunity to move up to an intermediate class where they can mark quilts they have made as “Handmade in the USA by Refugees” to sell. They can also mark their hand made items of clothing, placemats and napkins. It is a step toward self-sufficiency for some who have never had any income of their own. It is a boost in building self-worth for those who don't yet read or write in any language and whose English speaking skills are poor. The refugees come mainly from 13 nations including South Sudan, Somalia, Afghanistan and Syria. Once We Were Refugees is a non-profit ministry directed by Ann Say. These classes are taught by volunteers. The supplies and materials have been donated by the greater Kansas City community.